The Smart Araneta Coliseum was filled with the color blue last June 15, when Korean boy band CNBLUE performed before thousands of screaming Kpop fans. The concert dubbed as the “Blue Moon Tour,” saw fans lined-up as early as 6pm outside of the coliseum. BOICEs (official name of the group’s fan club) were present wearing t-shirts, holding blue glow sticks, posters and all kinds of paraphernalia to show their support for their favorite idols. As the arena started to fill in with fans, many of them screamed when the faces of the four members composed of Lee Jung-shin, Lee Jong-hyun, Jung Yong-hwa and Kang Min-hyuk appeared on screen. As the fans patiently wait for the boys to appear on stage, a short presentation of the group’s advocacy work was splashed on the screen monitors. Since their formation in 2009, the boys have been active in raising funds for a school named after them in Africa, where the school known as the CNBLUE School provides meals and daycare services to the enrolled students. After twenty minutes past eight, the show began with the introduction of the group through its special light and screen effects. All of the boys were shown going up a staircase and holding their instruments before finally coming out to the deafening and ear bleeding screams of the fans. Glowsticks lit up and the whole area was in a splash of blue light. Unlike other Korean boybands, CNBLUE is not the sing and dance type of group who would just belt out to pre-recorded songs. These guys can play instruments with its leader Yong-hwa showcasing not only his guitar skills but also playing the keyboard. During in between numbers, the boys greeted their fans with tagalog words such as Magandang gabi po, kamusta na kayo, and mahal ko kayo. The audience even cheered when the three other members Jung-shin, Jong-hyun and Min-hyuk with the help of a “cheat sheet,” read in tagalog that it was Yong-wha’s birthday on June 22. The fans greeted him and Yong-hwa, who was given a birthday hat, said that it was by far the best birthday he had. A day before the concert, fans gave him a birthday cake during the press conference in SM Megamall. It was quite obvious that Yong-wha, who appeared in Koreanovelas such as Heartstrings and You’re Beautiful was overwhelm with the screams and greetings that he almost forgot to sing a part of a song but laughed it out. He kept on telling the audience to “make some noise,” all the time during the two and a half hour concert. Like any other concert, the boys also had an encore before the audience. After the final song, the boys took the opportunity to have a photo taken with many of the fans behind them. Presented by PULP LIVE WORLD! Photo by Kris Rocha for Manila Concert Scene. I don’t know whether it’s because they were arrived at Incheon airport in the morning or what, but seriously I don’t like their face. Of course the most especially for Yonghwa, the day after concert he still smiling wide but after that he just back to his real feeling. Though I’m not big fans of him, it saddened more over I know this month they have many concert regarding Blue Moon world tours. Just hoping he can get over (whatever) his matter and back to his cheerful smile as usual. First picture for Blue Moon Bangkok today, surely there will be a lot tomorrow 🙂 so just wait to the uploader(s). FNC & 411 Entertainment held the 1st press conference for CNBLUE BLUE MOON WORLD TOUR LIVE IN BANGKOK 2013 on May 3rd 2013 at The Aetas Lumpini Hotel. The concert will take place on May 4th 2013 at Impact Arena, Muang Thong Thani. CNBLUE: (in Thai) We are CNBLUE. Jungshin: (in Thai) Sawasdee Krub. I’m Jung Shin, the bassist. Jonghyun: (in Thai) Sawasdee Krub. I’m Jong Hyun, the lead vocalist & guitarist. Yonghwa: (in Thai) Sawasdee Krub. I’m Yong Hwa, the guitarist & lead vocalist. Minhyuk: (in Thai) Sawasdee Krub. I’m Min Hyuk, the drummer. MC: It’s more than 1 year we were waiting for to see you guys in here, what would you like to do the most while staying in Thailand? Yonghwa: We absolutely like to perform our best concert for our fans because every time we meet Thai Boices, they have never change. They support us like they always do. We hope that everyone will enjoy and complete the concert together with us. MC: You are back in Thailand with CNBLUE BLUE MOON WORLD TOUR LIVE IN BANGKOK 2013, Why is the ‘Blue Moon’? Minhyuk: Blue Moon is something very powerful as you know. It is a second full moon which happens every year. It means that we are reborn. MC: Do you prepare anything special for Thai Boices? Yonghwa: There’s nothing special but fully of our best. We are preparing full RE: BLUE to show for Thai Boices. MC: What song in the performance that resembles to the concept ‘Blue Moon’? Yonghwa: For the ‘Blue Moon’ concert, all of the songs we perform are specially selected for the ‘Blue Moon’ concept. MC: What about the ‘Blue Moon’ in other countries before the concert takes place in Thailand? Jungshin: We found a warm welcome in every country we went. We did not have a chance to visit Thailand for a year. We always think about the concert. Are our Boices prepared for the concert? We hope that everybody ready to enjoy with us. MC: The ‘Blue Moon’ is your 1st World Tour, where is the most surprising country in your stop thus far? Yonghwa: We hope it to be Thailand now. Actually, we feel surprise in every country, Hong Kong (soon), Taiwan (Done) and Europe where the schedule still not confirm yet. MC: After the ‘RE: BLUE’ album, do you have any plan to release new single or album in Korea this year? Yonghwa: We still not plan to release new album in Korea now because we are full with the concert preparation and acting activities. However, we are also on the process for new songs in the next album. Please follow and wait for us. MC : How do you feel when you know that your new Japanese single album, with the songs ‘Blind Love’ and ‘With Your Eyes’ composed by Jonghyun ‘Greedy Man’ composed by Yonghwa, topped on Japanese Music Charts before release date? Jonghyun: We feel thankful for our Boices and everyone who like our songs. We are writing songs now but not yet released. We hope our fans will love and support us as always. MC: You guys released your own albums both in Korea and Japan, is there any different between the countries? 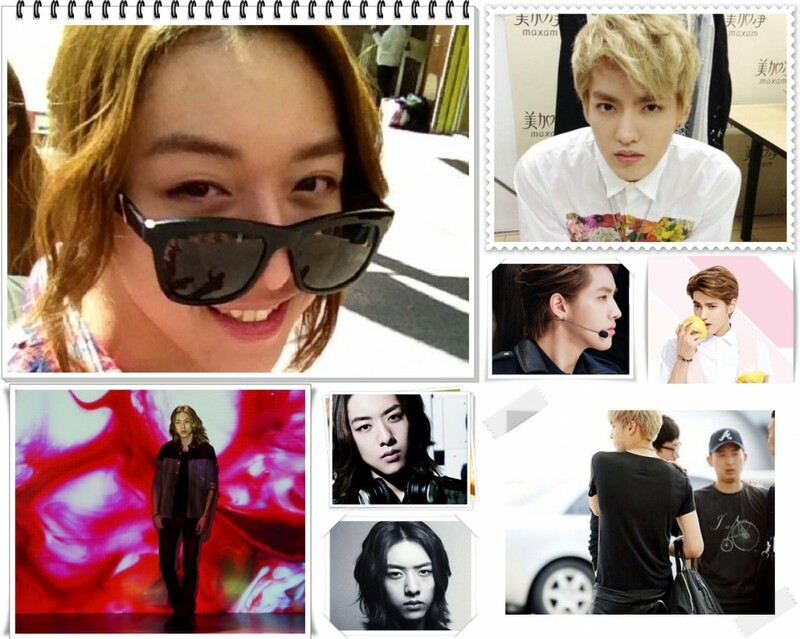 Jungshin: There’s no different. Our fans enjoy its together no matter wherever they are. Yonghwa: It’s very surprise! In every countries, When I give the microphone to our fans, they can sing every our songs. They could remember the lyrics better than me. Ah! Please do not think that I did not concentrate on my singing. I always do. I’d just like to tell you that we acknowledged how much our Boices pay attention on our songs. MC: What about the languages? Are they different? Yonghwa: Every language is different but the same for us. All language is difficult. MC: You guys have your hands full with concert tour, acting, Fashion model and CF activities. How do you manage the time for your rest and relaxation? Minhyuk: We have no time to relax when we do work. However when we finish it, we have a time to chat, play songs or go to movies together. We will have our own activities after work. MC: You guys had your own concert in many countries. Your songs also hit the Top charts in many countries with the high selling albums. Do you consider yourself, that you already success in your career? Yonghwa: We think we still not there. Our goal is still far from these. Many people may think that we already reached the high selling albums but we would like you to keep follow us. The World Tour is a step forward for us to reach ultimate our goal. MC: If you have a chance to work with the world’s artist, who are the one you like to work with? Yonghwa: We met JJ Lin in Taiwan. We had a chance to give him our T-Shirt and CD too. We think if we have a chance to work with him. This must be so great! MC: You have performed in many concerts. Which one is the great time that you will never forget? Jungshin: When we performed in Singapore, I saw the banner in Korean language. I felt so touch because our foreign fans tried to make it in our language. I hope to see something like this in Thailand too. Yonghwa: (talked to Jungshin) Yes of course! Thai Boices can do it! Jonghyun: Moreover, our fans usually know the schedule before us. I don’t know how they do that. They share the schedule to others and follow to cheer us. We are very happy about this. MC: What topic you talk to in your spare time? Jungshin: Not different from others. We talk about new movie is coming. Shall we go to see the movie together? What will we have for dinner today? What is the concept for our next concert? Minhyuk: Few hours ago, Jungshin listen to a new released song. We talked about the song. Who sang the song? How about the song? We talk in general things and activities we want to do it together. MC: So, is there any activity you want to do it together? Yonghwa: Actually we are always together no matter when we work or rest. We eat out together and caring each other. We go to see movies. We chat like others do. We have no special activity we would like to do together because we are always live together. MC: If you have to switch your positions, what is the music instrument do you want to try? Jungshin: I want to try a guitar. Jonghyun: (imitated Jungshin’s introduction) I’m Jonghyun, the bassist. Yonghwa: No one our band but I want to try to play the Recorders. If I play the recorder, it will be great! Once I do it. Please support me and if only I can speak Thai, I believe all of you will enjoy my gag, very regret for this. Minhyuk: I want to try a bass because Jungshin is great for this. Yonghwa: (said to Minhyuk) No! No! You will be great as vocalist. MC: You have learnt many Thai sentences. Please teach us some Korean sentence? Yonghwa: If Jungshin is the Korean language teacher, it must be great! Yonghwa: There’s nothing easier than this. MC: Please say ‘I love you, Boices in Thailand’ in Thai language. MC: Do you know what does it mean? MC: Please say something for your concert tomorrow. Yonghwa: Thank you all the press for participate the conference today. Thank you for all Thai Boices who gave us the warm welcome at the airport. We did not come to Thailand for a year but there are many press we remember come for us today. We hope you to come and enjoy the concert with us.